Thursday, March 20th is officially the first day of spring. After a long, cold and harsh winter, it is finally time to enjoy nature’s rebirth and the warmth of spring and summer! The growing season in the Atlanta area is usually year round, but the spring time is a time to harvest the winter crops and grow the spring and summer fruits and vegetables. There are many farmers markets in the Atlanta area that cater to people who enjoy everything from organic produce to hand-crafted items. There are many farmer markets in the area that are open for the entire year and others that will open their doors starting in April. The farmers markets, which come in all shapes and sizes from road-size stands to very large indoor and outdoor institutions, help to provide consumers in Atlanta with great fresh produce. Check out your local farmers market for the best in locally grown produce and goods. Below is a list of just five of the farmers markets in the Atlanta area. There are many more to explore and share! The DeKalb Farmers Market is located at 3000 E. Ponce de Leon Ave in Decatur, Georgia. The market, which has over 140,000 square feet of retail space and serves over 100,000 people per week, was the 1st private farmers market in Georgia. The market is open every day from 9am to 9pm. The market specializes in produce that is organically grown and not GMO manufactured. They support small farms that employ environmentally responsible and sustainable production methods. You can take a virtual tour of the market via their website. The Decatur Farmers Market is open at two different locations. On Wednesday, the market, at 308 Clairemont Ave, Decatur, is open 3-6pm and on Saturday the market is at 498 McDonough St, Decatur and is open 10am to 1pm. The Decatur Farmers Market is open all year with a mission “to develop and strengthen farmers markets for long term sustainability and meaningful community impact, with a focus on building a stronger local food system.” They host special events throughout the week at each location. Peachtree Road Farmers Market is open every Saturday morning from April to December at the Cathedral of St. Philip at 2744 Peachtree Rd NW in Atlanta. This market is the largest producer-only market in Metro Atlanta. Everything that the Peachtree Road Farmers Market sells has been grown and raised by the seller ensuring fair prices for both the vendor and the customers. They have 50 weekly vendors that set up at the market. The vendors can change on a weekly basis. They also host special events and chef demonstrations throughout the season. Morningside Farmers Market is open every Saturday morning from 7:30am to 11:30am at 1393 N. Highland Ave in Atlanta. The market offers fresh, local certified organic products, meats, bread, food, organic flowers and artisan crafts. The market has been thriving since it opened in 1995. This is the only farmers market in Atlanta that requires all produce to be certified organic. 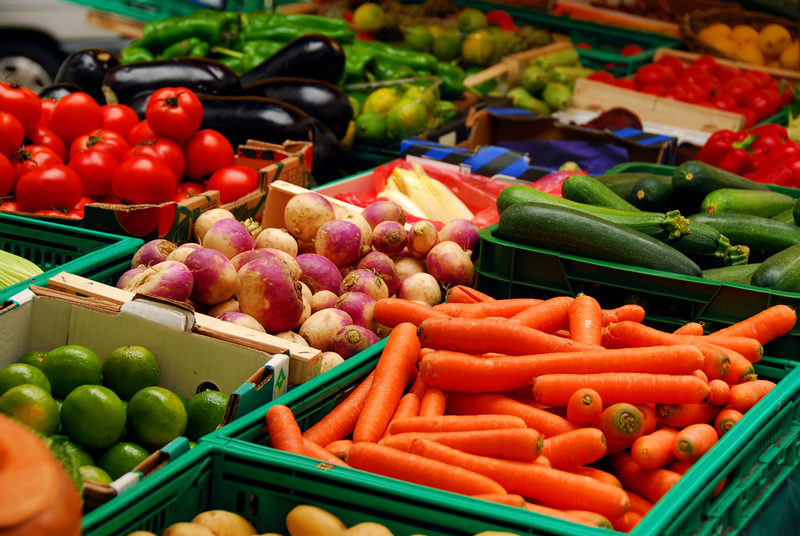 The produce is local, fresh and produced by the farmers who are at the market. The Atlanta Farmers Market is run in conjuncture with the Georgia Department of Agriculture. It is located at 16 Forest Parkway in Forest Park, Georgia. There is 150 Acres of fresh produces and goods, which makes it one of the largest of its kind in the world. There is a garden center as well as wholesale and retail outlets. It is also the marketing hub and distribution point for fresh produce in the Southeast and the entire country. It is open 24 hours a day 7 days a week. There is also a restaurant, welcome center and USDA federal and state office. There is also a 26,000 foot exhibition hall that can be rented out.